Welcome to 2016 SRMGC in Arlington and Fort Worth, November 1-4, 2016! Texas is delighted to have been chosen to host this conference and we eagerly anticipate your arrival. The conference will take place at the Sheraton Arlington and the Arlington Convention Center, which are practically across the street from Globe Life Park, home of the Texas Rangers, and a few blocks from AT & T Stadium, home of the Dallas Cowboys. The hotel is a mere 9 miles from Dallas/Fort Worth Airport and the Sheraton provides a complimentary shuttle. Expect for weather to be dry and in the 70’s. The speakers we have planned will engage and educate you. The Master Gardener State Coordinator panel should provide many new ideas and answer your questions. Our Capstone Speaker is actor Barry Corbin who will regale us with stories of growing up in West Texas and talk about drought and water conservation. On the tours you can visit many glorious public, school and residential gardens, as well as the two sports facilities near the hotel. We plan to offer you good old-fashioned Texas hospitality and look forward to having y’all visit our county. 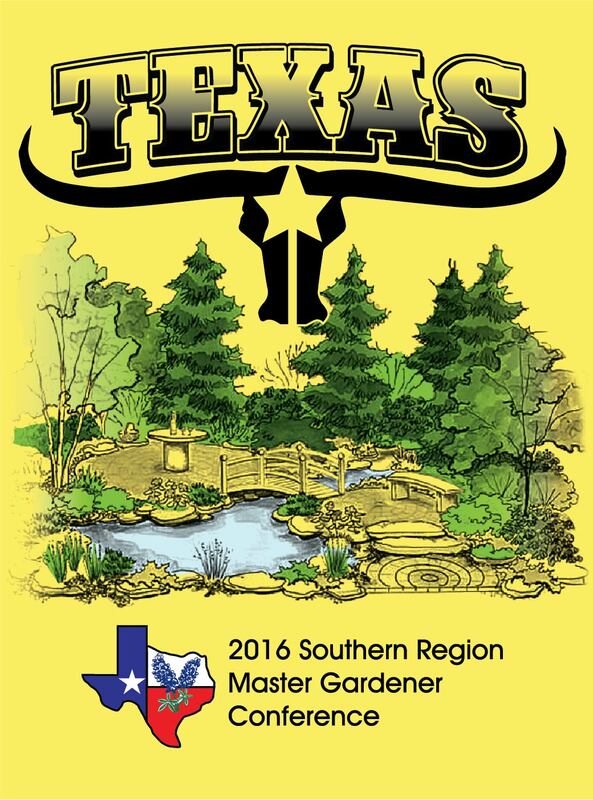 Are you seeking information on the conference, or on becoming a Texas Master Gardener?